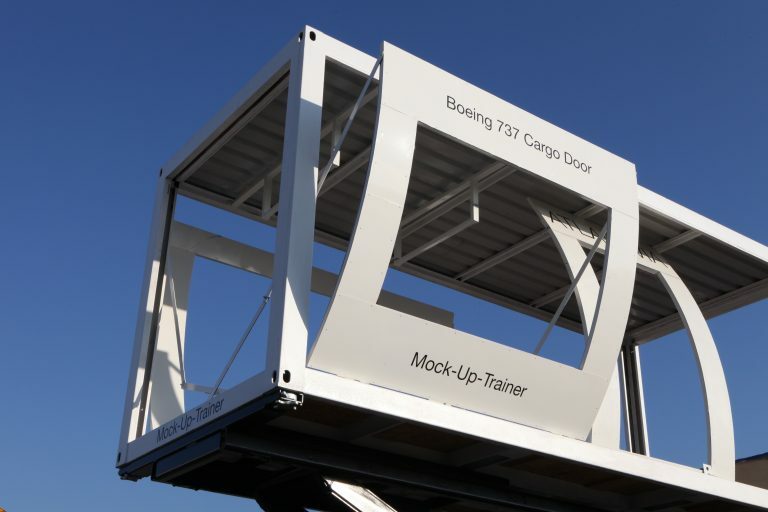 The goal of MOCKUP is to achieve faster turnarounds and thus shorter ground handling times through LIVE training. As well as to avoid the danger of accidents to humans and machine during the operation. Through a modular design we can map all door dimensions for the Cargo and Passenger Trainings. Individually you will receive the desired setting for your employee training. Other applications can be offered. 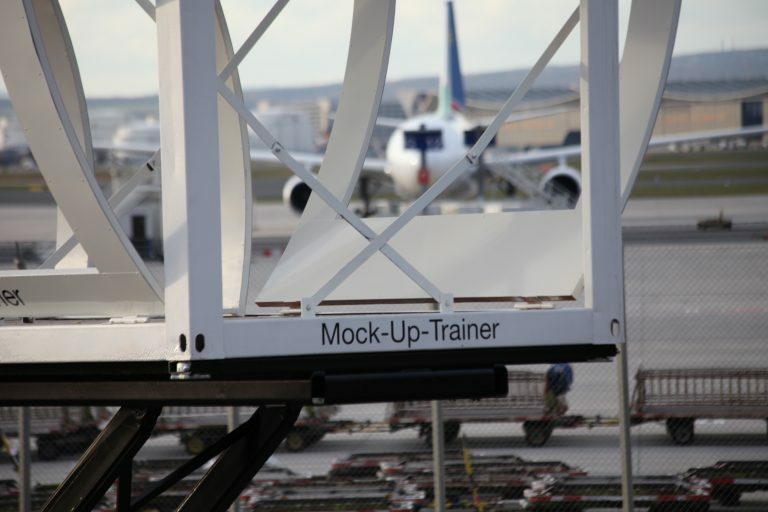 With the MOCKUP, your employees train in familiar surroundings and with their own devices. 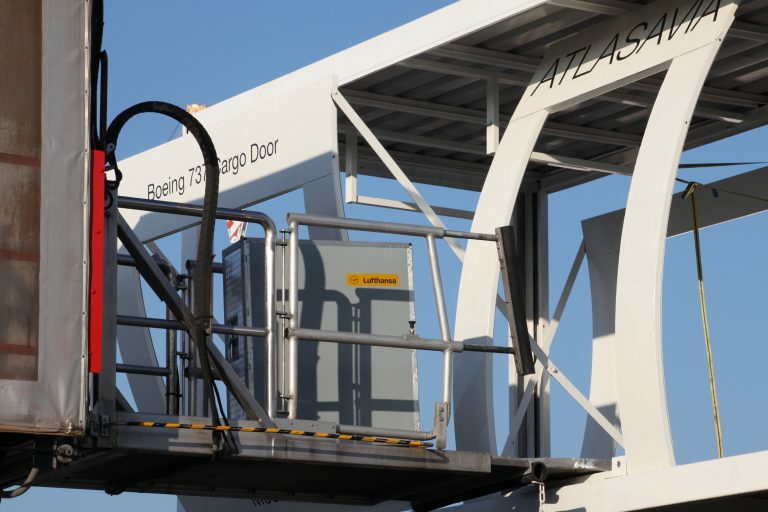 The interchangeable doors and various operation heights allow your employees a realistic training environment for improving practical process application and maximum safety. Different applications can be trained simultaneously to improve the interaction of different operations. 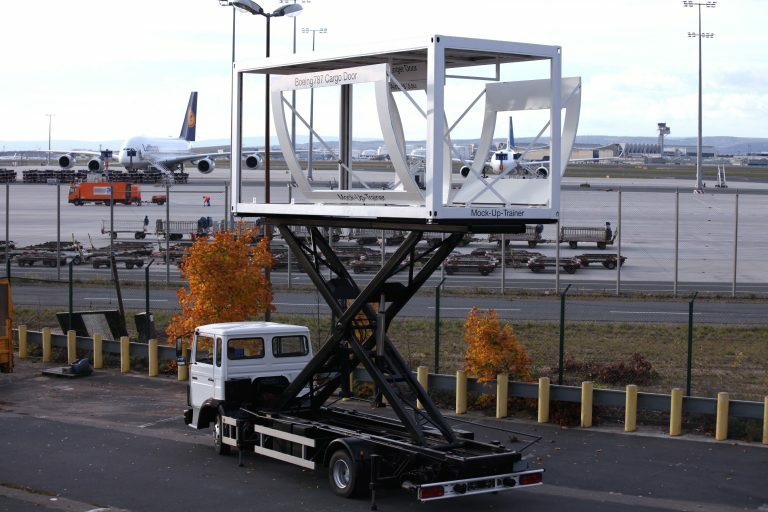 Our MOCKUP module is located on a lifting vehicle and can show all heights from 1.4 - 5.9m. A real training environment for ground handling is thus possible for almost all aircraft types and applications.